Lisbon, or Lisboa in Portuguese, is the capital of Portugal, and one of the oldest cities in the world, dated back to 1200 BC. Its Mediterranean climate makes it a popular destination, so when visiting Portugal and, more specifically, the capital, you can expect great food, warm temperatures and nice people ready to help you with anything you need! When you visit, you’re more than welcome to stay in our Pousadas near Lisbon. We have no less than seven Pousadas that can serve as a base for you to explore the city, so feel free to check out the stunning Pousada Castelo de Obidos or the exceptionally located Pousada of Lisbon. Lisbon’s history revolves around its geographical position at the mouth of the river Tagus, the longest river in the Iberian Peninsula, and its origins can be traced to the pre-Roman eras, more specifically, the Phoenician times. 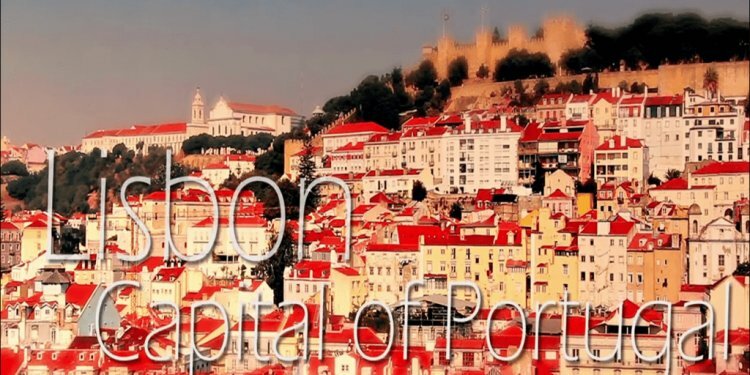 Lisbon served as a place of departure for the ships that sailed to explore new lands, which took place during the sixteenth century, and it was also a focal point of commerce between Asia and Africa for a long period of time. One event that completely changed the course of Portuguese history was the 1755 earthquake that occurred on All Saints Day, a devastating catastrophe that destroyed two thirds of the city. Lisbon eventually recovered, although there was a great loss of lives and culture alike. Another big event that marked Portuguese history was the revolution of 1974, which was launched in Lisbon and saw the restoration of a democratic state once more. Portuguese culture is vast. From beautiful monuments to the ancient art of tiles and pavements and a large background in literature, Lisbon is a complex city rich in culture, breathtaking landscapes and history. It also has old historical villages that have become a staple of Portuguese culture, like the Aldeia Velha de Monsanto, which was built in such a way that it’s fused with the granite mountain around it – and it has one of the most iconic landmarks in the country, a huge rock sitting on top of a house. Food is a strong part of Portugal’s cultural background. Although some dishes are common and can be found anywhere in the country, each region has its own typical dishes, which vary from main courses to desserts and wines. Some of the most popular include Port Wine and the famous Francesinha, a specialty sandwich served with fries and beer sauce that you can eat in Porto. There are so many places in Lisbon that you can visit and explore that you couldn’t possibly see it all in just a week! Still, some of the most iconic and popular include museums, ancient monuments and even pastry shops from the nineteenth century. In Lisbon you can also find the oldest bookshop in the world, Bertrand, which has been open since 1732. This bookshop originated a chain of more than 50 Bertrand stores all over the country. Europe’s largest indoor oceanarium is also in Lisbon. The Oceanário de Lisboa is home to 16, 000 animals, which includes sharks, rays, chimaeras, cuttlefish, jellyfish, otters, and much, much more. With a million visitors every year, this oceanarium is one of the most popular spots in Lisbon, making it ideal for a day out with the family. The largest tank boasts 5000m3 in volume and it’s here that you can also see one of the main attractions, a sunfish – a species of fish that can reach more than 3 meters in length and over 2 tons in weight. Sunfish are also in the Guinness World of Records for laying the largest amount of eggs, up to 300 million! You will need to work for the company for at least a year, and complete your bachelors degree. With that, your company will sponsor you for an L1 visa.